Hello everyone, I'm a long time reader, first time poster to the forum. I have really enjoyed reading about everyone's projects, it is so cool to see what everyone can come up with and make on there own. It has inspired me to give gear making a try and this is my first pack. For the body of the pack I used Xpac and for the straps I used 330d cordura sandwiched between 4mm foam ventilated mesh all from rockywood. The packs volume is roughly 2900 cubic inches and weighs 20oz. I put pockets on the hip straps and on the sides of the pack. 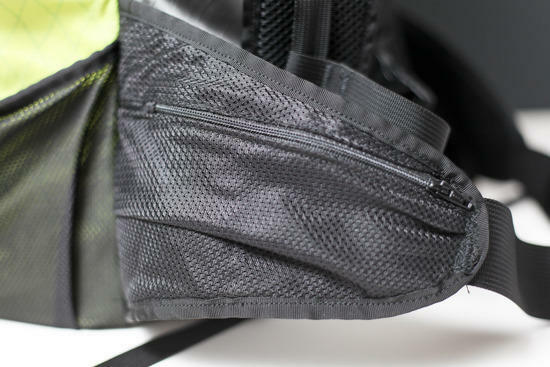 There is also a pocket on the inside for a foam pad to add some extra comfort. This project was really a lot of fun and I can't wait to finish up a few other pack designs I have been working on. WOW. Great job. Looks Pro. You could sell these! Such a professional job. Yeah, wow, that is very professinal looking. Design looks similar to a ULA CDT. You have a future in gear making. I just received a sewing machine and look forward to a creation such as this. The X-pac is burly stuff and I am pleased to see that the weight of your pack is so low for such rugged materials. Truly impressed. you must mean "thread injector"
nice looking rig. cool color, too. You sure did an amazing job on your pack. Very nice pack, looks very robust and professional. I do have a warning for you. MYOG is addictive. There is no cure. Welcome to the MYOG community. Beautiful pack Chris! I have a question for you about the 4mm foam/mesh you used for the straps. Is 4mm the thickness of the foam used or does that measurement pertain to the mesh? Basically just trying to figure out approximately how thick your total foam padding is with the two pieces sandwiched together. Thanks in advance and, again, really nice work. First time MYOG! You did a great job. Congratulations. I'm blown away at the talent that is found in the BPL community! I wouldn't know how to turn a sewing machine on and yet you guys/gals are making equipment like this… WOW! "I wouldn't know how to turn a sewing machine on"
John, change the default position of the 1/0 switch. Excellent execution, Chris! I have a soft spot for lime green gear – this looks really sharp! Rockywoods' XPAC appears to be VX07 70 denier based on their weight claims. Does the grey and lime green fabric feel like the same weight? All I can say is Great Job! Thanks for all the kind replies, I don't know who was more amazed at how well it turned out, me or my wife. I was so nervous at first to start cutting up the xpac, but once I started I couldn't stop, just too much fun! Stuart – I wish I would have thought about weighing out the pieces before I put them together, it would have been neat to see how much just the fabric weighs. 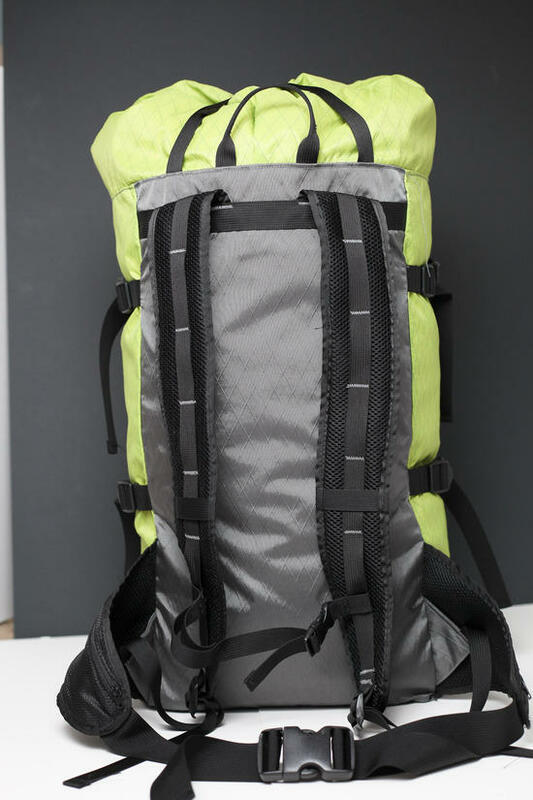 But when you add in buckles , bungee cord, webbing and gross grain the inside seams the weight adds up. John – I like your idea for therapy! I am hoping to finish up my second pack tonight and will have to get some photos and post. 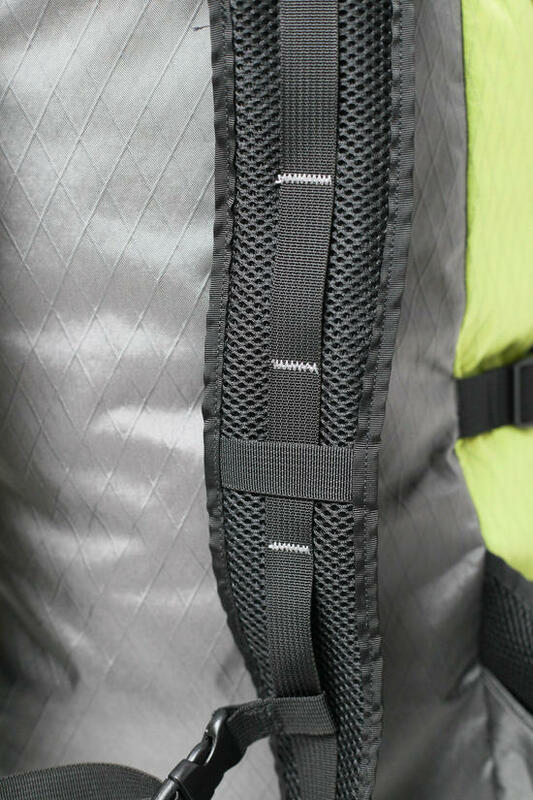 Nathan – The 4mm is the thickness of the foam mesh, so my straps are around 8mm thick, I did put a piece of 330d Cordura between the foam just to make it a little stronger. I would be interested to compare thru-hikers 3d mesh to the foam mesh from Rockywoods. Has anyone compared the two??? 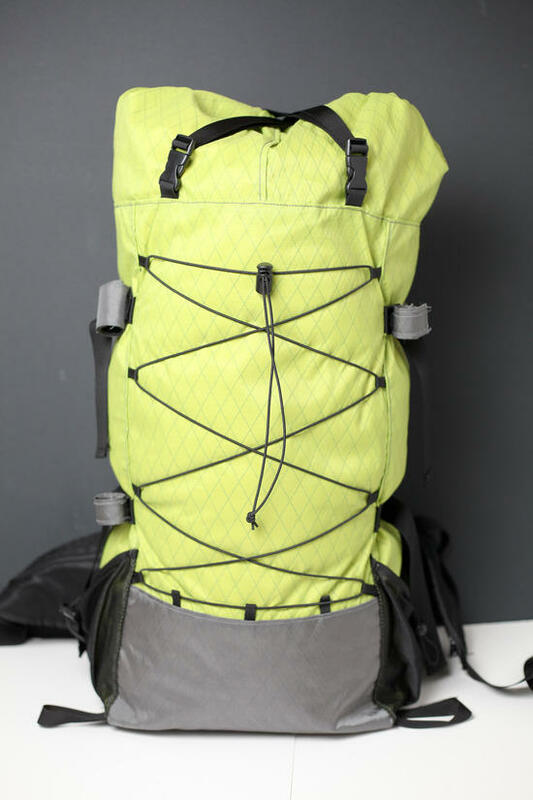 Thru-hikers is defiantly more expensive but i wonder if it is any better? 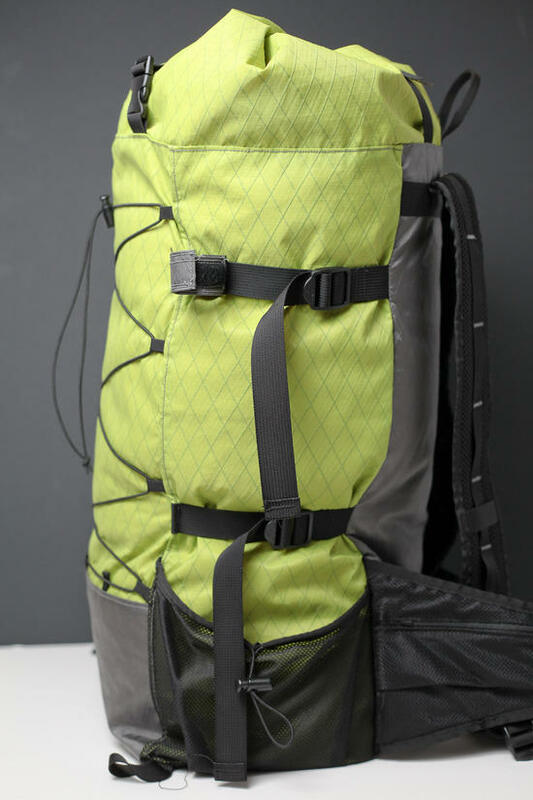 Jared – The green xpac feels lighter then the grey, The green looks like it has a 70d ripstop for the top layer, where the grey is not ripstop, and feels heavier and stiffer, which i like for the bottom and back of the bag. I do want to try some of there red and orange xpac, I hope it is like the green. Looks very professional, especially the shoulder straps and hip belt. Loving the other outside features and color too. Thanks Chris! Yeah I've got some white VX07 XPAC with ripstop top layer, while my VX21 200d stuff is without the ripstop. I'd like to use the VX21 for higher abrasion areas like you did. Looking forward to your next project post! The quality of your work far exceeds mine. I'm impressed. Beautiful pack. What did you use for a pattern? It is a pretty easy build and a lot of fun for a project.